The Rival custom Under Armour jackets are constructed of a soft feel knit fabric that provides breathability and comfort for long road trips. Extremely comfortable for training or traveling to the big game. Signature moisture transport system for wicking sweat away from the body. 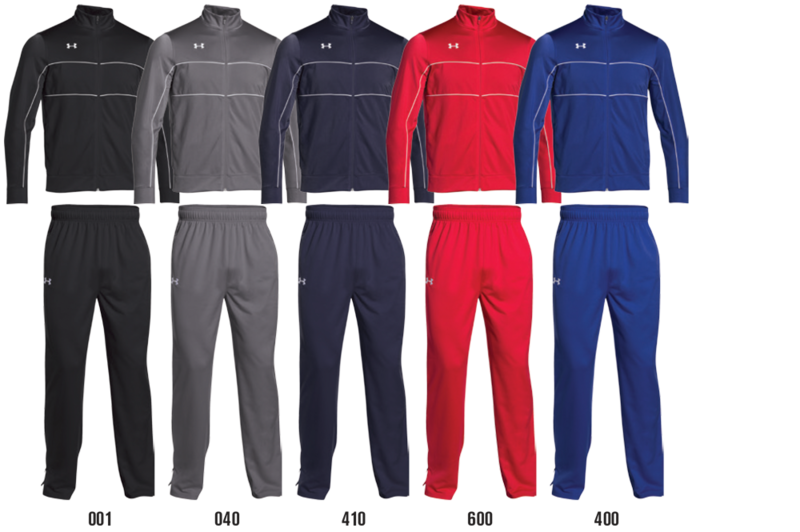 Customize your team outerwear with an embroidered team logo or individual player number on any custom UA jacket.